This could be discussed at Cabinet meeting or be a part of Interim Budget. New Delhi: Ahead of the Lok Sabha elections, the Centre is working on a farm package. For the same, popular schemes under consideration are Telangana’s Rythu Bandhu, Odisha’s Kalia scheme and even proposals like area-based income compensation, waiving off premium for crop insurance and interest on loans for those paying on time, said a report on Wednesday. The Centre is likely to consider these options during its Cabinet meeting or these could be a part of the Interim Budget due on Friday. A leading daily pointed out that the area-based income compensation (ABIC) scheme looks at the difference between actual price and state-mandated minimum support price (MSP) of all farm produce which is to be paid to farmers. Another proposal is a complete waiver of premium for crop insurance and waiving off interest on crop loans for farmers who pay on time. 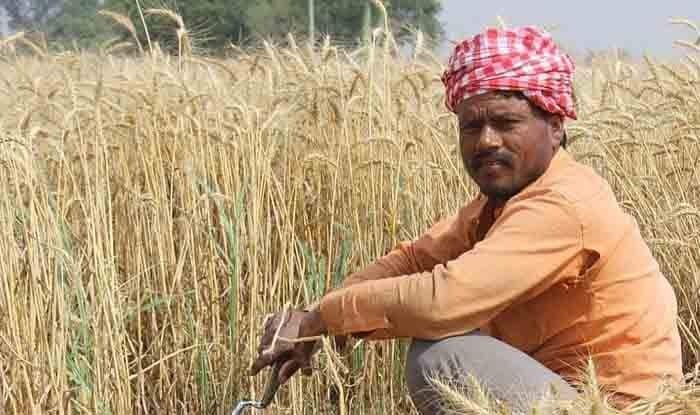 A senior government official told the daily that that idea was to support farmers but he refused to second-guess which scheme would find the Centre’s favour. Under Telangana’s Rythu Bandhu, the state government grants Rs 4,000 per acre per farmer each season (total Rs 8,000 per acre per year, covering both Kharif and Rabi seasons) for the purchase seeds, fertilisers, pesticides and other investments. On the other hand, Odisha’s Kalia (Krushak Assistance for Livelihood and Income Augmentation) is to provide Rs 10,000 per family per year as assistance for cultivation. This scheme is not linked to the amount of land owned and will support even share-croppers or cultivators who own little or no land.